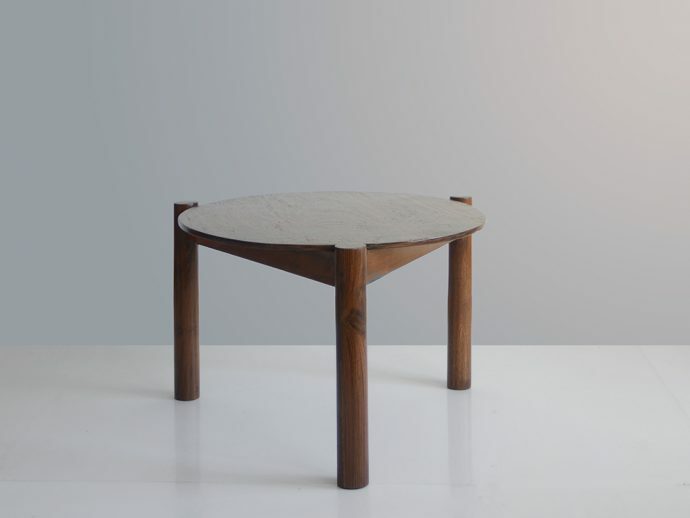 Round side table, 1952- 1956. This form was created from a model by Charlotte Perriand for the BCC and l’Equipement de la Maison. Solid teak Chandigarh. Pierre Jeanneret designed together with Le Corbusier a new capital in Chandigarh. In the 1950es they created a vision of new living. Great desk from Chandigarh in Paris.